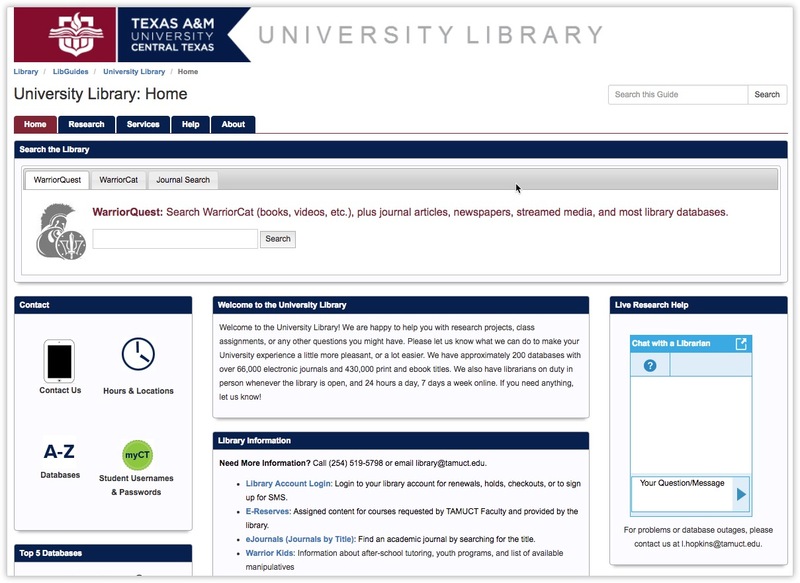 We use LibGuides CMS to power the Texas A&M University - Central Texas Library Website. I will show how and why we did it and also how LibWizard has helped us with our children's programs. By using LibGuides and the LibWizard, we are able to be in charge of our own site, instead of letting our IT staff run it.